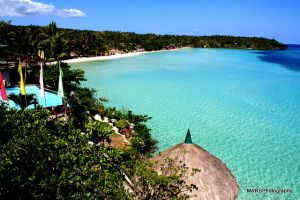 In the province of Misamis Oriental in the island of Mindanao is a city that serves as a pilgrimage site for Divine Mercy devotees. As such, it has earned the nickname The City of Mercy, as well as other similar ones such as City of the Savior and The Christ City of the Philippines. El Salvador was once part of Cagayan de Misamis, Misamis Oriental in 1948. It was created from the barrios of El Salvador and Molugan, as well as their sitios Sala, Sambulawan, Sinaloc, Lagtang, Talaba, Kalabaylabay and Hinigdaan. It was once stripped of its cityhood in 2010 after the Supreme Court ruled that the Republic Act used to convert El Salvador and other cities was unconstitutional. The law stated that a town must earn at least PHP100 million in order to be declared as a city – a feat that none of the sixteen cities which included El Salvador were able to accomplish. However, cityhood was reinstated a year later. Several companies have plants in El Salvador and they include Asia Brewery, Tanduay Rhum, Virgin Cola Bottling Plant, Highland Fresh Daily Products, Zest-O Corporation, Universal Robina Corporation and WL Foods Corporation. 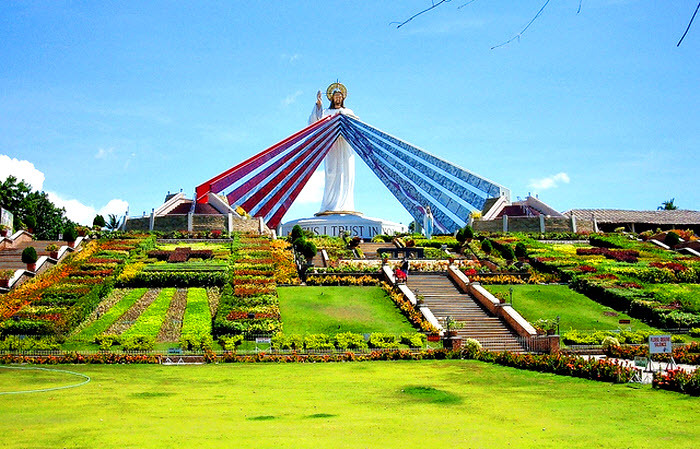 Divine Mercy Shrine – overlooking Macalajar Bay, this is a 50-foot statue of the Divine Mercy Christ. This figure is the biggest in Asia and also serves as a pilgrimage site for the devotees of the Divine Mercy. Since the site is both a sacred and pilgrimage site, visitors are warned not to wear shorts or any other revealing clothing. In case a visitor arrives dressed as such, they will be required to cover themselves with a blue cloth that is provided by the administrators of the shrine. 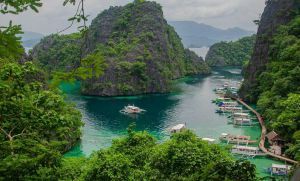 Burias Shoal – 950 meters off the coast of Molugan and covering 15 hectares of marine protected area. Here, you get to see a wide variety fish and a collection of deep sea corals that are in need of rehabilitation. El Salvador Night Cafe and Market – set up every Friday in Barangay Poblacion. Locals and visitors alike can gather and have a barbecue, listen to music played by a live band, drink some beer and shop a bit at the nearby Night Market. Abaga Falls – one of the waterfalls located in Barangay San Francisco de Asis. 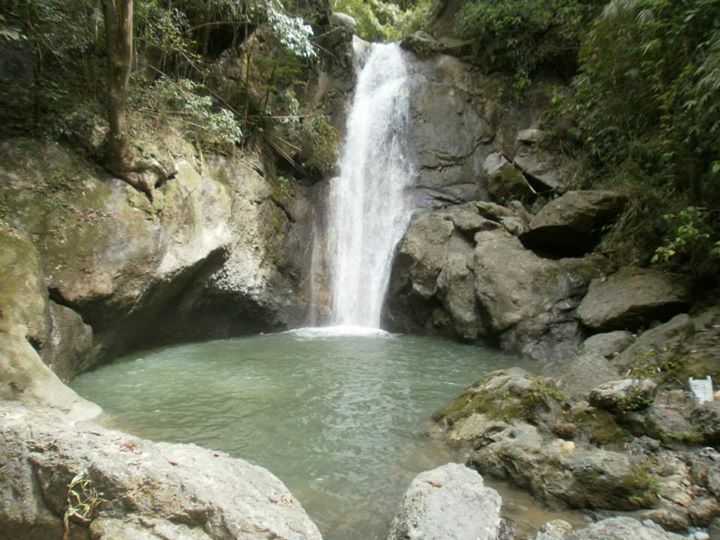 Sikiop Falls – another waterfall that can be found in Barangay San Francisco de Asis. Tag-ilas Falls – this waterfall is located in Barangay Hinigdaan. Cabunlogan Falls – found in Barangay Sambulawan. 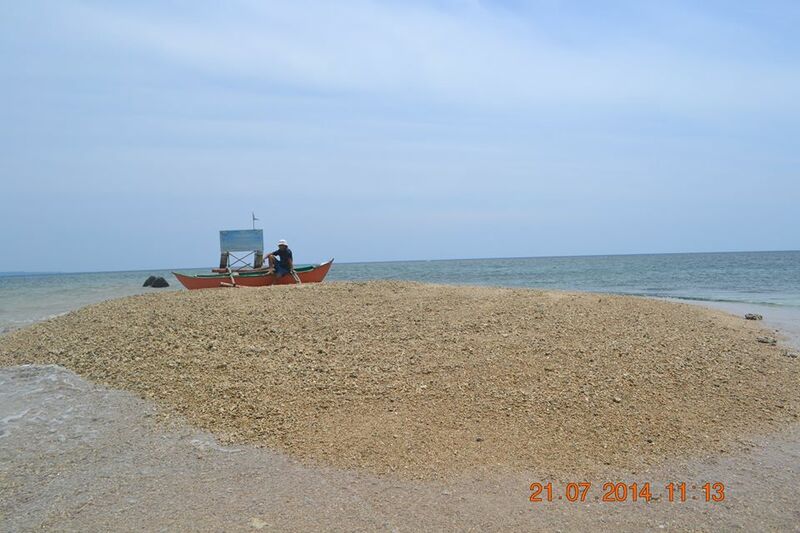 Sinaloc Coastline – a place where turtles nest. 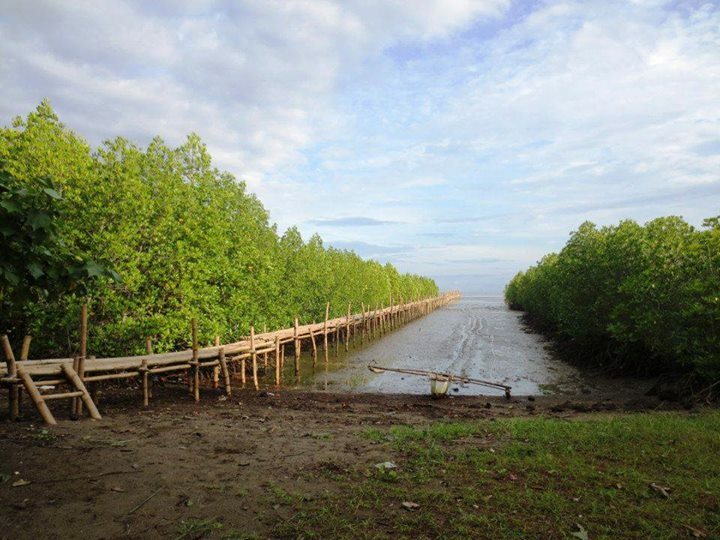 Taytay Mangrove – located along the boardwalk. This mangrove was developed as a way to express concern for the environment. Tuburan Spring – found in between Barangay Taytay and Barangay Poblacion. Pasalubong Center – where you can buy food items and such to take back home as souvenirs and gift items. This is located across St Joseph High School. Our Lady of Snows Parish Church – a newly constricted church located just within the city.